Many granite varieties have natural characteristics such as "pits," "fissures" or "water-spots" which can be a source of needless concern. "Pitting" occurs because of the crystalline composition of granite. As granite was formed and cooled deep beneath the earth's surface small empty pockets developed between the various mineral crystals in the stone. Over time these voids were filled with softer minerals. When granite is cut and polished the deposits of soft minerals are removed leaving the appearance of pits on the surface. Fissures look like small, hairline cracks in the polished surface of the slab. Fissures are most clearly visible in granite varieties that display large crystals like Verde Butterfly, Delicatus Gold or Marron Cohiba. A fissure is defined in the granite industry as a "visible separation along intercrystalline boundaries or the voids between mineral crystals.” They develop during the repeated cycles of heating and cooling during the stone's formation. Fissures should not be confused with cracks. 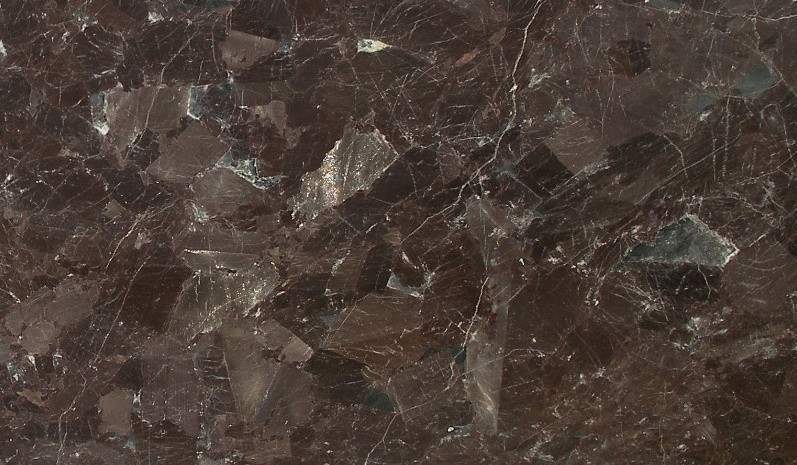 Fissures appear on the polished surface of a slab. A crack is a physical separation in a slab. Cracks can happen when the stone is quarried or during handling, fabrication, transport, or even by the force of structural stress after installation. "Watermarks” appear to be areas dullness on the surface of certain colors. They occur during the polishing process. The composition of some granite and marble contain surface deposits of softer minerals that cannot be polished to a high gloss. The visibility of pits, fissures and dull spots can be magnified by the lighting conditions of a room. Low angle lighting such as sunlight spilling onto a countertop through a kitchen window or under-the-cabinet lighting will accentuate these imperfections more than high angle, overhead lighting. Their presence is normal and will not compromise the integrity of a countertop. In addition when countertops are sealed any pits, fissures or water-marks are fully protected from staining.